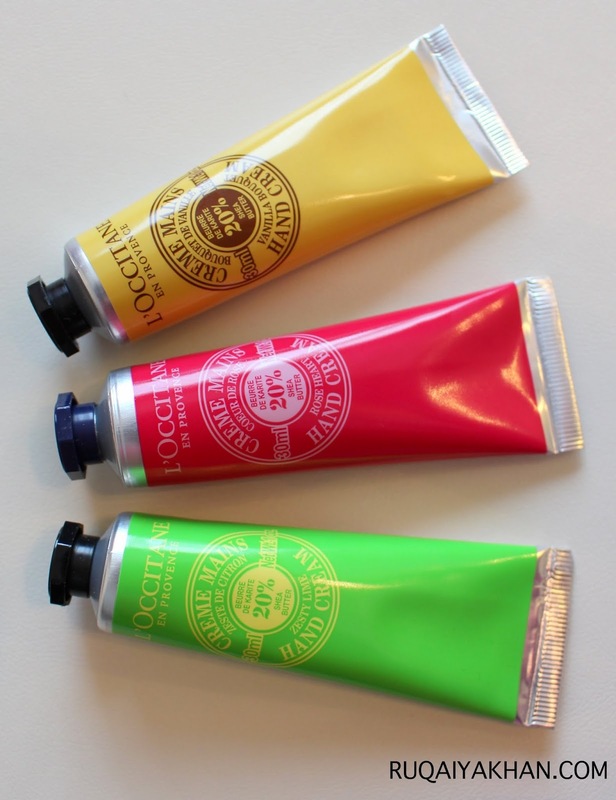 On a chilly day, like today, it totally makes sense to talk about hand creams. As much as I love to keep my hands moisturized, I am constantly doing something, that requires me to wash my hands or use a hand sanitizer - having dry hands is inevitable. Its kind of a struggle to keep my hands moisturized and make sure the oily residue, from hand cream, absorbs quickly, so it won't transfer to my keyboard, as I type, or any other surfaces. I hate oily hands. And I hate oily hand prints even more. 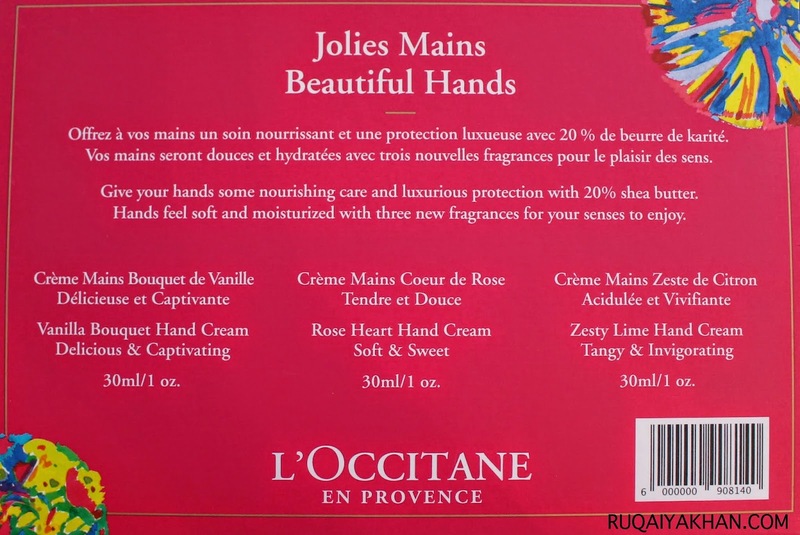 It disgusts me to see my oily finger tips on my drawers, from a distance...well..
L'Occitane Beautiful Hands Trio (C$32) contains three, 1 ounce, hand creams in Vanilla Bouquet, Rose Heart and Zesty Lime. Although, there are a bunch of other hand creams I have discovered along the way, its okay to appreciate how well these perform. They are a bit pricey - C$12 for a 30 ml tube and comes in a variety of nourishing flavors but they are thick in texture, which means little goes a long way. What I really like, is that, even though its scented, the scents are not crazy enough to give me a head ache. That actually happened when I started using an organic hand cream brand and the scents of essential oils, quite literally, made me sneeze. This gift set is available at Sephora and it makes a lovely gift for anyone who deserves beautiful hands, or even for yourself.